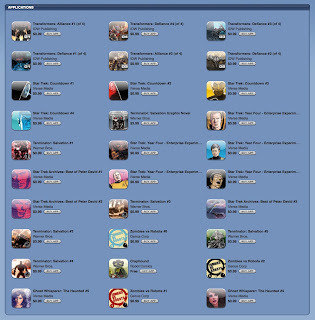 Apps for our TRANSFORMERS: ALLIANCE and DEFIANCE movie prequel comics just went live this morning, so here's a look at all the current IDW iPhone apps (if you want to view them in iTunes, click this link). Wow... that makes me wish I had an iPhone. That's really cool. Oo, shiny. Do have to ask though, will there be more Transformers material released digitally in the future, and if so, will it be Apple exclusive?